In the spirit of regular contributions to the WordPress, I have made my second core contribution and this time in the WordPress 4.9 Tipton. Yes! WordPress 4.9 Tipton got released early today and here’s a post about what’s new in it and my contribution. WordPress 4.9 brings a range of improvements aiming towards a more user-focused experience regarding managing and customizing websites, added functionalities to widgets, a robust text editor for code, and a lot more. So, let’s review the key highlights of WordPress 4.9. One of the significant changes to the Customizer is that in WordPress 4.9 you can easily create a draft and then schedule changes in it. A user also gets to see a public preview URL. This means that a user, having no access to the dashboard, can even view the changes using a unique URL. The scheduled changeset automatically reloads the next time you open the customizer. You can continue changing it or discard it to restore to the original. In WordPress 4.9, the text widget now offers an “Add Media” button and with an enabled support for Shortcodes. Earlier, it was in version 4.8 that the Visual Editor in text widget was introduced, but its biggest lacking was it required HTML to insert the media. This issue has been solved in the new release where you can directly add media from your media gallery with the Add Media button. There is a major improvement in the theme browsing experience in the customizer. 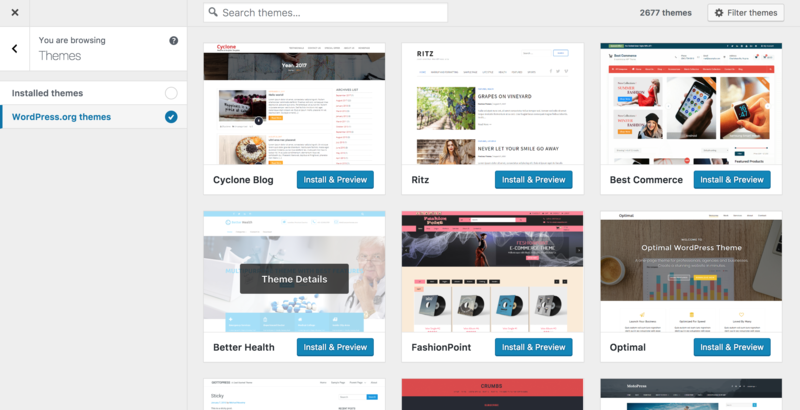 Now, apart from installing themes, you can browse, preview and install themes directly from the WordPress theme repo through the Customizer. Better coding experience with a CodeMirror editor in the theme/plugin editor, Custom CSS in Customizer, and Custom HTML widgets. Support for more video providers in video widget — v4.9 uses oEmbeds to support other video providers as well. WordPress 4.9 is a collaborative effort of a whole bunch of awesome folks with a special mention to Weston Ruter and Mel Choyce for leading this effort. However, WPCouple’s team also grabbed a share in this release along with 443 other contributors, out of which 185 of them contributed for the first time.  Ahmad Awais is a regular WordPress core contributor; he contributed to WordPress 4.9 to improve the Customizer widgets’ CSS for small screens, building the default themes changelogs, and improved upon the consistent error message screens for plugins and themes. 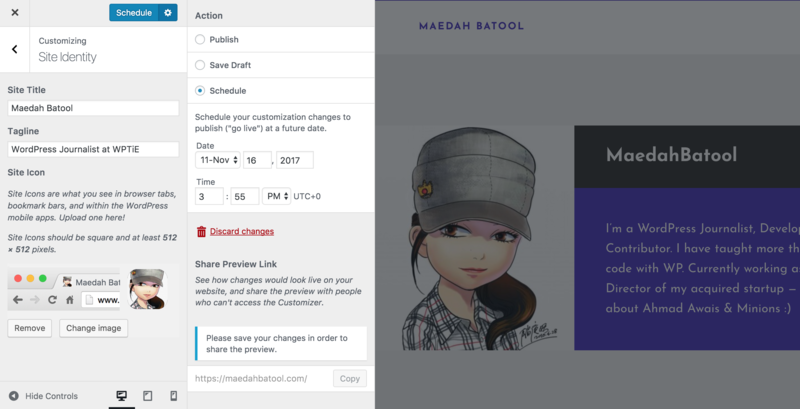  Maedah Batool started contributing to the core in 4.8 and also contributed to 4.9, she’s the best technical writer I know of, she wrote the changelogs and improved the Codex as per the WordPress 4.9 release — esp. for default themes.  Ashar Irfan, on the other hand, will become a core contributor in 4.9. He improved the core’s CSS for different areas in the customizer from default HTML widget to adjust the background and alignment of various buttons and the Gallery widget.  Saqib Ameen contributes as the General Translation editor of Urdu language for WordPress. Because of him and over 150 contributors, we get 100% Urdu translated WordPress release since WordPress 4.7. So what do you think of all these changes? Which do you like the most? Share your feedback in the comments below!